What does the term "Hebrews" mean and why was this epistle written to them? Describe the contents of this book. How does the book of Hebrews begin? Why is this significant? Describe the two stages of God's speaking. What is meant by the terms "effulgence of His glory" and "impress of His substance"? Describe Christ's work in creation and redemption. Why is Hebrews a book of comparisons? How is Christ shown to be superior to the angels in vv. 4-12? What is the significance of Christ being the Heir of all things? What does it mean that we are joint-heirs with Christ? What is the "so great a salvation" spoken of in Hebrews? What is the warning regarding this salvation and why is it needed? How is Jesus as a man superior to the angels? Describe God's purpose in the creation of man and how Christ fulfilled the prophecies concerning this purpose. According to Hebrews 2, what four things were accomplished by Christ's crucifixion? What is the significance of the Father's name referred to in Hebrews 2:12? What is the relationship between glory and fighting, and thus why do we need a Captain of salvation? What does it mean for Jesus to be made perfect through sufferings, and how does this apply to us? What is glory and how do the walls of the New Jerusalem relate to God's glory? How does Christ come from without us and from within us? What is the difference between positional sanctification and dispositional sanctification and which of these does Hebrews 2:11 refer to? Explain why the Lord needed to be the Firstborn Son of God in order to sanctify us. What is the church in relation to the sons of God? What does it mean for the Son to declare the name of the Father to His brothers? Why does the writer of Hebrews use the words merciful and faithful to describe the High Priest and how is Christ qualified to be such a High Priest? What is the basic significance of the priesthood, and how does the first mention of the word priest in the Bible show us this? What are the nine main points related to the holy brothers? What are the eight main points related to the partakers of the heavenly calling? In what aspects does Paul indicate the superiority of Christ to Moses? Why is it so important that we be in God’s house and care for His house? What is the difference in our being a partaker of Christ and partner of Christ and what is the relationship between the two? What is the purpose of our being Christ’s partners? How does the land relate to both Christ and the proper people of God? What was the ultimate consummation of entering the good land? How does this relate to the church life and the New Jerusalem? What are the three stages of Christ as the Sabbath rest to us? How may we say that the church life is the Sabbath rest? Describe the Sabbath rest in the various ages. Give three reasons why the church today is the Sabbath rest. What is the relationship between the Sabbath rest today and in the coming age? Explain how the next Sabbath is a reward and encouragement for our running the race properly today. How have the two major schools of doctrine failed to interpret the warnings in the book of Hebrews? How is the pure word of the Bible different from both Calvinism and Arminianism in the matter of either receiving a prize or suffering a loss? What is importance of each of the three ages in fulfilling God’s eternal purpose? How does Matthew 24 and 25 help us to understand reward or punishment of the believers? How can we pay the price today? Use the two parables in Matthew 25 to describe the life and work needed for entering into the millennial kingdom. How does the error of Calvinism mislead people into being slothful and missing the reward? What are five warnings in the book of Hebrews and what is the Arminian error regarding them? Why is it so important that we remain in the church life today? In your answer you should mention the present, growing Sabbath rest and our refuge. What is the function of God’s living word within us and how do we know we have touched the living word? What are the parts of man and how do they correspond to the sections of God’s temple? Use a verse reference for each part. What are the three stages of salvation typified with the Israelites? What are the three stages of salvation in the experience of the New Testament believers? What is it that makes Christ as our High Priest so great and what is He as our High Priest doing? What is the throne of grace and how may we come forward to it today? How is Christ a High Priest according to order of Melchisedec and how is this superior to Aaron? How does Christ as our High Priest become the cause of our eternal salvation? What is the word of righteousness and why is it referred to as the solid food? What are the six items of the word of the beginning of Christ and how are they in pairs? What is the way for us to be brought on to maturity? What must we flee from and into what must we flee for refuge? What are the five elements of the turn in the book of Hebrews that begins in Hebrews 7:1? What are the two sections of Christ’s ministry and what is accomplished in each? How does the book of Hebrews reveal the secret of how the Christ who is objective to us in heaven can be our subjective experience on earth today? Why do we say that the heavenly priesthood of Christ is kingly, perpetual and great? What is the difference between the kingly priesthood and the divine priesthood of Christ? What are the qualifications of Christ’s priesthood that make Him able to save us to the uttermost? What are the three aspects of the priesthood and their functions in fulfilling God’s purpose? What are the fourteen characteristics of this life mentioned in this message? Compare God’s economical salvation in Romans 3 through 8 with Christ’s saving us to the uttermost in Hebrews 7? What is Christ’s more excellent ministry today? How does it relate to Christ’ heavenly intercession? Explain why the new covenant is superior to the old covenant. What are the four major items of the contents of the new covenant? What is the origin, definition, location, function, power and issue of the law of life? How is Christ’s intercession in the heavens related to the operation of the law of life in us? What does the term “sonize” mean and how does it relate to Christ as Firstborn Son of God becoming the “standard model”? How is the law of life the crucial point in gaining the corporate reproduction of the standard model? How do the two tabernacles—the Holy Place and the Holy of Holies signify two covenants? What does it mean for us as the New Testament believer to come to the Holy of Holies? What are the experiences of Christ in the outer court and in the Holy Place? What are the experiences of Christ in the Holy of Holies? What “better things” make the new covenant superior to the old covenant? What is the relationship between God’s promise, His covenant and the Lord’s new testament? What are the items of Christ’s accomplishment in His first manifestation and in the interval? What are the items of Christ’s accomplishment in His second manifestation? What is the main thought in Hebrews 10:1-18? What are the three main items of the new covenant and why is the forgiveness of sins as the fourth item mentioned last? Explain how forgiveness is a supplement? Why is “coming forward” the focal point of the book of Hebrews and what do we come forward to? Why did the writer of Hebrews warn the Hebrew believers not to forsake their assembling together? How is this to sin willfully? List the eleven items that prove to us the security of God’s eternal salvation. Include appropriate verse references. Describe the ways in which God disciplines His children. Explain what the punishment and reward are referring to in Hebrews 10:29 and 35. Describe what is meant by the phrase “the gaining of the soul” in Hebrews 10:39. Explain why faith is the unique way to receive the gospel and live the Christian life. Define and describe “faith” according to Hebrews 11:1. Describe how faith can be seen in the lives of Abraham and Moses. Hebrews 11:40 says of the witnesses of faith, “that apart from us they should not be made perfect.” What does this mean? Why is Jesus referred to as the “Author and Perfecter” of faith? Since we have no believing ability in ourselves, how are we able to believe into the Lord? Why is the Christian life called a race in Hebrews 12:1? What is this race? In what way must we run this race? What does it mean to be holy? How does God make us holy? Why is the Christian life a balance between peace and holiness? What are some of the causes of falling away from the grace of God? What are the six items belonging to the old covenant and eight (in four pairs) belonging to the new covenant? 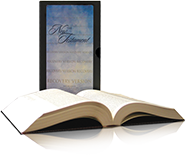 Explain how each the eight items of the new covenant is pleasant and eternal. How can we say that the unshakable kingdom we are receiving is actually the Lord Himself? Show how all the negative points of the five warnings of the book of Hebrews concern suffering the loss of the reward in the coming kingdom and being punished by God, and all the positive points of the five warnings are related to the reward and enjoyment of the kingdom. What are the ten practical virtues for the church life? Describe the need for proper leading ones among the churches, and submission to them by the saints. How is Christ the way and the race, how does the one race becomes many paths, and why we need so many turns in Christ as the way? What is the religious background addressed by Hebrews 13, and how does the writer of Hebrews address this background in verses 8-10? Why can we say that religion is within us? Explain how we enter within the veil by getting into our spirit, thus being enabled to go outside the camp. What is the basic concept in the Bible? Briefly explain the significance of each of the eleven aspects of manna. Why can we say that the hidden manna is God's portion? What does the hidden manna being in the gold pot signify? What is the relationship between the distance between us and God and eating spiritual food? What is the significance of the promise of the hidden manna in relation to the church in Pergamos? Explain how the budding rod refers to the proper leadership among God’s people. How is this different from leadership in the world? Explain how the proper leadership issues from the judgment of the rebellious nature and the vindication of the resurrected ambition. How may we have the budding rod in our experience? Explain how the two signs—the brass plates on the altar and the budding rod in the ark are related. Explain how the law, being God’s testimony, is a type of Christ. What is the significance of the law being put into the ark in the Holy of Holies? How does this relate to our experience of the law of life today? How does the basic concept of the divine revelation relate to our becoming sons of God of the same kind as the Lord Jesus? How does the spreading of Christ as the law of life into our inward parts conform us to the image of God’s Firstborn Son? How did Christ as the Firstborn Son become the prototype for the many sons of God? What is the way to be practically conformed to the image of the Firstborn Son of God? Explain how the life nature is the working of the law of life. Explain how the anointing is the moving of the Person of Christ and how this moving becomes Christ’s inward teaching. How do the law of life and the anointing in the New Testament compare to the law and the prophets in the Old Testament? Explain how the working of the law of life and the moving of the anointing will complete the sonship in us? Explain how living by God’s nature is greater than walking in God’s presence. How does the anointing cooperate with the law of life to keep us living in the divine nature? What is the shaping function of the law of life? What is its goal or result? How do the experiences of Christ portrayed by the furniture in the tabernacle lead us to the experience of the law of life?